Everyone is smart in some way or another. It's not all about books and tests. 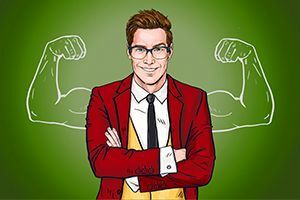 Find out what your smart strength is! How long does it take you to pick up the lyrics of a new song? Have you figured out the meaning of life? Can you catch something without looking directly at it? There are several types of intelligence, according to the Gardner theory. We have all of them but are strong or weak in each type. Which type is your strongest? Find out with this quiz!